Continuation of narration by Chief Counsel G. Robert Blakey and the playing of excerpts from a tape recording of an interview with President Fidel Castro. Chomsky has now been proven both wrong and misleading on both Kennedy and Vietnam, and the Missile Crisis. But it’s worse than that. Chomsky simply has no regard for facts or evidence in the two cases, writes Jim DiEugenio. 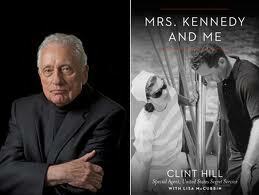 Unlike The Kennedy Detail, Clint Hill has written (again, with Lisa McCubbin) a fine book. That said, it is best to take some of his pre-assassination “reenactments” of statements made by others with a huge grain of salt, while also noting–with interest–those assassination and post-assassination revelations and statements that do ring true and are of interest to all, writes Vince Palamara. The fact that Janney’s book has been accepted by some in the critical community indicates to me the continuing ascendancy of the Alex Jones, “anything goes” school, writes Jim DiEugenio. More journalistic connections to the CIA are examined by Bill Kelly, in particular those of Hugh Aynesworth, Priscilla Johnson and Gordon McLendon. It is apparent that the roots to many of the black propaganda operations related to Dealey Plaza, especially those that try to falsely implicate Castro in the assassination, stem back to David Atlee Phillips, one of Linebarger’s protégés, writes Bill Kelly. A look at the journalists on the ground in Dealey Plaza on November 22, 1963. Jim DiEugenio continues his re-examination of Halberstam, emphasizing the near total antithesis between LBJ and JFK in terms of Vietnam (and foreign policy in general) which the book all but erased. In the first of a two part study, Jim DiEugenio reexamines, in the light of what we now know, the book which perhaps more than any other epitomized the accepted wisdom on JFK's role in US involvement in Vietnam.